Luna Halo – Luna Halo | NoCoda. What It Sounds Like: Single after single of energetic, ready-for-the-radio, rock ‘n’ roll. Why would you leave me wanting? I don’t know how to start this. 1) Luna Halo have played the most energetic live shows I have ever seen in my entire life. They were an undeniable force to be reckoned with. 2) Frontman Nathan Barlowe’s vocals could never be captured in their truest form on a record. He’s a mind-blowing, powerhouse of a live vocalist that few can actually touch. 3) Everyone loves great rock songs with pop sensibilities that you can sing every word of the chorus to. Here, we get that in spades upon spades upon spades. When I started NoCoda, this is one of the first records that obviously crossed my mind to be reviewed (since it’s one of my absolute favorites). However, my very next thought was immediately this one: “How in the world can I actually write anything that lives up to what this band has meant to me?” Luna Halo defined my college years. To be fair, their debut record, Shimmer, came out earlier when I was in high-school , and don’t get me wrong – I loved it, even though it was different than their self-titled major label debut which was released in 2007. Their actual first record exhibited an almost aquatic means of distortion and atmospheric rock that certainly was influenced by Nathan’s days leading the electronic-tinged Reality Check. The years after that were all about big choruses, catchy hooks, and his brother Cary Barlowe’s killer lead guitar work that by all means should have catapulted them to the top of the charts. 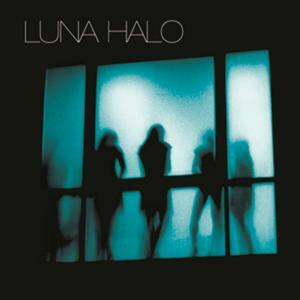 Some of my absolute best memories of college were on nights where we all would go see Luna Halo. We would all pile into cars and drive to the venue (usually 12th and Porter or Mercy Lounge), see a blisteringly energetic live show with our best friends at our side, and then hopefully talk to the band for a couple minutes afterwards. Luna Halo were great guys – they always took the time to say a few words to us after the shows – they were appreciative of their fans. They got to know some of us after a while too because, after all, we were at every show, always up front, and always in the same spot: to the right of Nathan and the lead mic, but to the left of Cary on lead guitar. Same spot. Every time. No room for discussion. After the show, it was on to the Waffle House on Murfreesboro Road until the early AM hours. It was tradition. How old were we? Nineteen? Twenty? Twenty-One? I really wish that there was a word that I could find in my heart that would sum up my gratefulness for these times, but I come up short. Just a nameless emotion that always make me happy and abundantly thankful whenever I think of it. Alright, alright, enough already. Enough of this tear-inducing stroll down memory lane. Let’s get to this record, once and for all. The first time I heard lead single Kings And Queens, it about took my head off. It was streaming on their MySpace page (there’s some history for you!) for well over a year before their major label debut dropped, and we used to listen to it all the time. Just call up the page, turn up the speakers, and blow the dorm room to smithereens – a power-chord chugging rocker with a mid-tempo verse and on-fire chorus that will make you scream out the lyrics at the top of your lungs. It doesn’t want to break a mold, nor should it! It had all the makings of a rock-radio smash, destined for the top of he charts. No question. What would it take for me to get to you? The actual single pushed by the record company was Untouchable, which was a keyboard-laden new-wavey rock number that featured Cary’s signature guitar riff, which has become ingrained in my mind, and has become unmistakable. It was an obvious fan favorite, and even got more promotion as the one and only Taylor Swift covered it acoustically for the deluxe version of her Speak Now record. Or ‘lack of push’ by the record company we should say, in all truthfulness. Dang the whole BMG / Warner / Rick Reuben legal battles of 2007. It killed the promotion for this single, and overall, the record. The world missed out on a true, one-of-a-kind gem here. Besides the official singles, this record was overflowing with potential ones that were only lying in wait to be unearthed. The alternative rock of addiction fighting on Medicate. The restrained energy of On Your Side. The power ballad of Falling Down. The power pop-rock of Wold On Fire. The epic and full-steam-ahead rock and roll of being played as The Fool. There are just endless possibilities here; all fallen prey to simply being released in the wrong place at the wrong time. Their self titled release aside, they had b-sides galore that just never made their way to an official release. We were shocked when Haunted didn’t make the final cut – it was a creation that was too perfect to ever be recreated – a slow burner of sorts full of passion, with a minimalist verse and a chorus that felt like a nuclear bomb had been dropped on your head in slow motion. Strike A Match aims to ignite a broken love, while Sweet Talker cuts through the guise of ill-intent of the girl who’s been staring at you all night from across the room. Strangers, however, is going to make you pray that she doesn’t have any ill-intent, because when the bass riff on this track kicks in, you’re gonna be grabbing her hand and taking her to the dance floor – stat. But just for the sake of saying it, let’s just lay it on the line for a second: that girl that’s been staring at you from across the room with that beer in her hand does have ill-intent, and if I had any say in the matter, I’d be breaking out some old school dc Talk from 1992 and rappin’ That Kinda Girl. That’s the kind of girl whose hand I want to be grabbing when Strangers comes on. You know, The kinda girl you meet behind the doors of a church / God will bring her to me so I don’t have to search. That was a tangent, and this is a Luna Halo review. I couldn’t help myself. Back to it. As you’ve just read all my personal relation to this band above, I must say that I’m not naive enough to think that all my memories of this band don’t effect my overall love of the record. But I am, without question, confident that this record is solid beyond measure, regardless if you are a long time fan, or reading this for the first time, never before today knowing the name Luna Halo. Of course. This could have been the first 11/10 record!